Fuel prices edge up all round this month but there are still significant savings to be made by refuelling on the other side of the Channel. 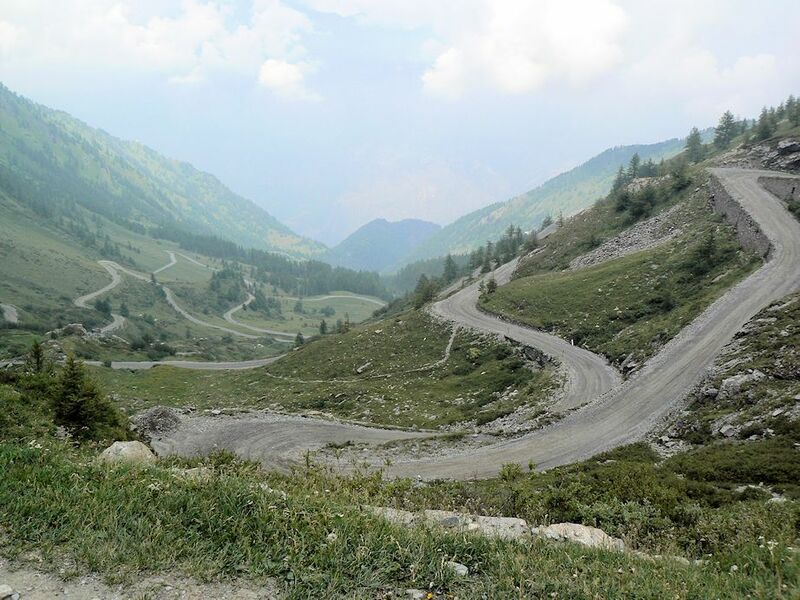 Also, a quick look at the Susa Valley’s Colle delle Finestre. As major mountain passes open in Norway and the Pyrenees, Italian police announce Alpine road speed checks this summer. Luxembourg’s standard traffic fine to double next month. Copenhagen’s parking wardens to double as tourist guides. Buy petrol before the Netherlands, and diesel before Switzerland, but wait for Spain, Andorra, Luxembourg and Austria. British diesel may not be the most expensive in Europe any longer – having slipped behind traditional chart topper Norway – but at an average €1.678/l it is still more expensive that it was last month. Thanks to a similar rise in France – from €1.190 to €1.248 – the saving on a typical fifty litre fill up has fallen slightly, but is still a significant €21.50. France is still way down the list at 22nd most expensive diesel in Europe (and 16th unleaded95). 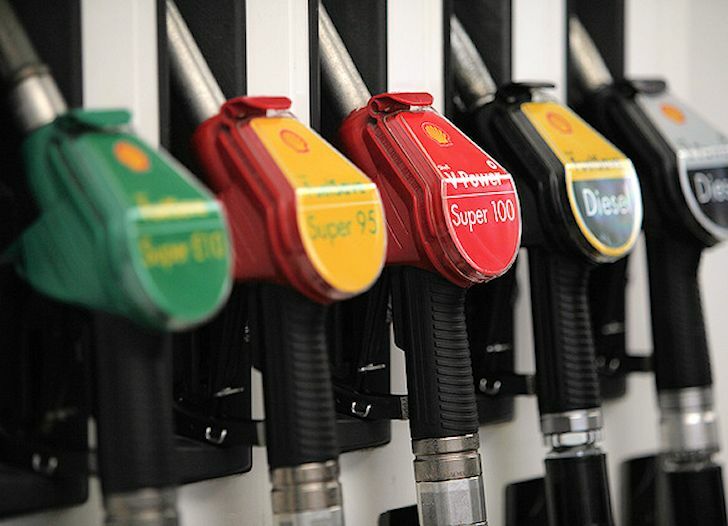 Diesel prices have edged up all round meaning the savings for the notional fifty litres – compared to the UK – are broadly similar to last month: Belgium (€19.25), Germany (€20.95), Netherlands (€14.65) and Luxembourg (€29.35). With unleaded95 the UK has edged up into fifth place at €1.609, again more expensive than last month, behind Norway, Netherlands, Italy and Denmark. The fifty litre saving is €8.45 in France, €4.20 in Belgium, €6.50 in Germany and €18.35 in Luxembourg though it would cost €6.10 more in the Netherlands (down from €6.70 last month). At the same time, unleaded95 might be a mid-pack €1.487 in Switzerland but the diesel is now Europe’s fourth most expensive at €1.535. Meanwhile, Spain continues to be very cheap at €1.326 unleaded95 and €1.229 diesel, much cheaper than Portugal (€1.569 and €1.309) where new ‘no frills’ fuel has not cut prices by as much as many hoped. Finally, Austria is really embedding its reputation for cheap fuel. At €1.099 diesel is on a par with Luxembourg but unleaded95 at €1.209 is actually cheaper. It still has a little way to go before it catches Andorra however, at €1.023 diesel and €1.169 unleaded95. All prices are indicative only, per litre, taken from fuel-prices-europe.info, updated daily. Mainly averages except Belgium and Luxembourg where prices are nationally regulated. roundup: ALPINE ROADS. Norway’s Trollsteigen and Col de Tourmalet in the Pyrenees both opened today. Meanwhile, Italian police have announced mountain road speed checks in South Tyrol during some weekends this summer reports ADAC: Saturday 16 May Karerpass; Sunday 24 May Gardena, Saturday 6 June Stelvio; and Saturday 15 August Timmelsjoch. See PassFinder for the locations. Further dates to be announced. LUXEMBOURG. The standard traffic fine will double from 1 June, to €145 says Wort.lu. It will apply to drivers using a mobile phone at the wheel; tailgating; ignoring no-entry signs; not wearing a seatbelt; and those with incorrectly installed child seats. It comes amid a general tightening up as the Duchy attempts to tackle its outlying road safety record. DENMARK. Copenhagen’s traffic wardens are to double as tourist guides reports the Copenhagen Post. Eleven of them will wear large ‘ASK ME’ signs to begin with, throughout the summer. If successful numbers will be increased next year.